Professor Tom Watson and his co-author Paul Noble have just had the third edition of their book, Evaluating Public Relations, published by Kogan Page. In it they make the case for PR practitioners to focus more on the creation of value through PR and organisational communication. Social media measurement, they say, is the biggest operational challenge when it comes to measurement and evaluating the impact of campaigns that are wholly online. 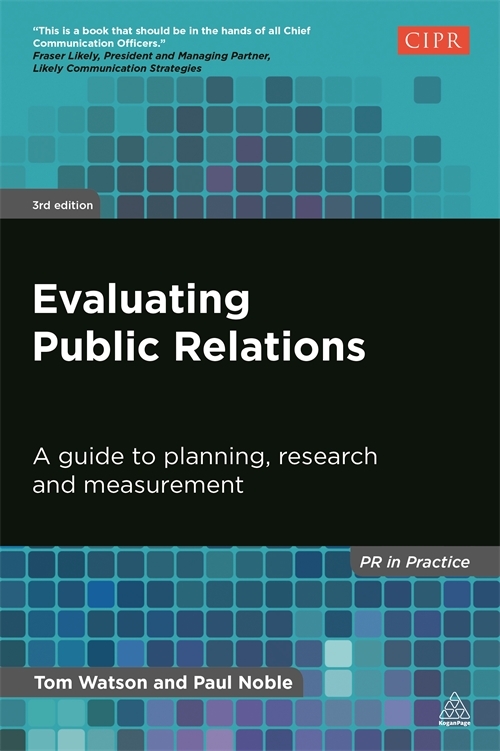 When the first edition of Evaluating Public Relations appeared in 2005, it mostly dealt with the measurement of media relations activity; the counting of column centimetres, broadcast timing and name-checks. PR practice, however, has moved on to include the measurement and evaluation of social media, greater emphasis on outcomes rather than outputs, and demands that PR/communications delivers value to the organisation. In 2010, the Barcelona Declaration of Measurement Principles included a ‘principle’ – The effect on business results can and should be measured where possible – which linked with many practitioners’ desire to express financial outcomes from their activity. However, it was not limited to P&L-type results only. It can include intangibles such as reputation, brand value, licence to operate, support for productivity and innovation, as well as financial tangibles that include sales, cost reduction and project agreements. The book contends that PR/communications practitioners must make a big step forward in planning and strategy-setting processes. Not only should communication objectives align with organisational objectives, but they must ensure that communication is part of the organisation or client’s own objectives. The term for this approach is Outflow, which is the economic impact that results from the influence on stakeholder relationships exerted through PR/communications. That goes beyond measuring Outcomes of PR/communications activity as it is about the creation of value for the whole organisation. This is the new frontier for PR practice. Social media measurement is another challenge for practitioners. While it is easy to generate material to disseminate through social media and other internet communication, it is more difficult to measure its reception and processing by recipients. In the book, a new chapter is devoted to the topic which sets out various approaches with a stress on research to set measurable objectives. 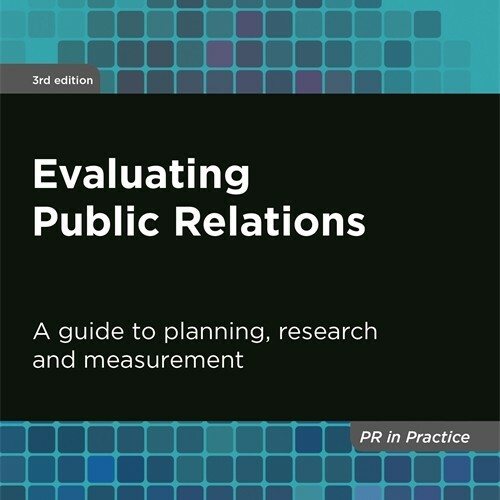 Evaluating Public Relations (3rd edition) by Tom Watson and Paul Noble is published by Kogan Page in the PR in Practice series, £29.99. ISBN 978-0-7494-6889-7.